Huangdi: The Yellow Emperor takes you back in time to stunning ancient China. Spin the reels and bring one of the country’s most iconic heroes to life. The game is based on Huangdi’s victory against the Nine Li Tribe. This 5 reel and 25 payline slot is an aesthetic marvel bursting with superb features. The high definition graphics and symbols include Huangdi, his swords, instruments, medicine boxes, dragons and the standard Ace to 10 playing card symbols stylized in a fitting Chinese calligraphy font. The several features of this game begin with the Huangdi wild symbol, which substitutes for all other symbols save the dragon scatter. There are also stacked symbols that will expand matching high symbols on the other reels. For instance, the medicine box and instrument and sword are stacked on reel 1 while Huangudi can appear stacked on all 5 reels. 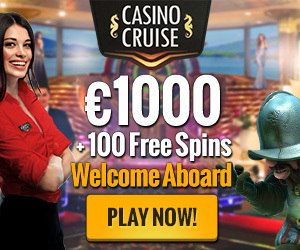 The feature that makes this game truly amazing is the Free Spins feature. You can trigger 15 free spins to start by landing a minimum of 3 dragon scatter symbols anywhere on the reels. As an extra bonus, if you land 4 scatters you’ll get 10 times your stake and if you score 5 scatters you’ll be rewarded with 100 times your stake. Plus, throughout the feature, the Huangdi wild will stack on reel 1, which means if other wilds occur during the feature, they will also expand and take over the reels. You even have the chance to retrigger the feature if you get 3 more dragons, which will secure you another 15 free spins! Play Huangdi: The Yellow Emperor now and get the BONUS !